Take the hassle out of your visit to fair Verona. This day trip from Venice includes tickets, guide & transport. Discover the origins of Shakespeare's 'Romeo & Juliet' with visits to Juliet's balcony and more. Get away from the crowds to discover the real Verona on a full city tour - led by a local! You only have to see Verona from above to understand why it was the perfect setting (the only possible setting!) 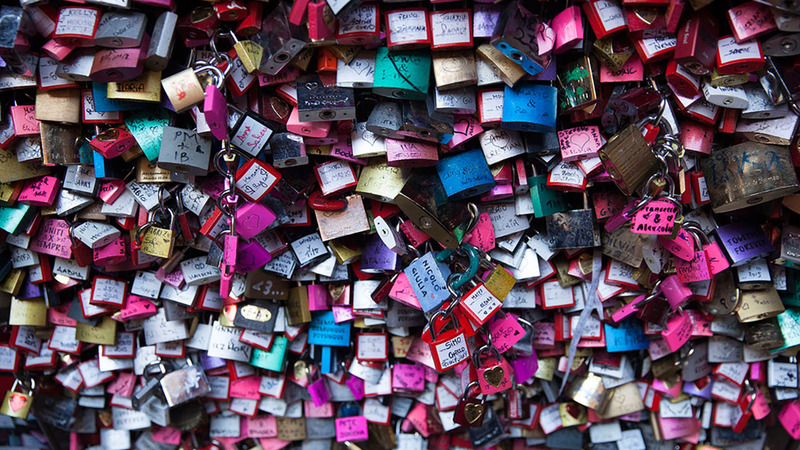 for the world’s greatest romance. Starting our tour from the foot of a castle overlooking the town, you’ll take it all in at once. The towering spires, the castle walls, the river that hugs its curves: Verona is as romantic as it gets. Touring with a local Veronese guide, you’ll cover the best of Verona by foot. You’ll see incredibly well-preserved medieval buildings; explore historic churches; walk the castle walls; pay respects at the (show stopping) tombs of a great family; and soak up the atmosphere of the city in its winding streets. Of course you’ll also learn a thing or two about the famous lovebirds. On this day trip from Venice you’ll see all the scenes in which the story plays out, including the balcony from which Juliet was wooed by her Romeo; the street where Mercutio was killed; and Romeo’s house. 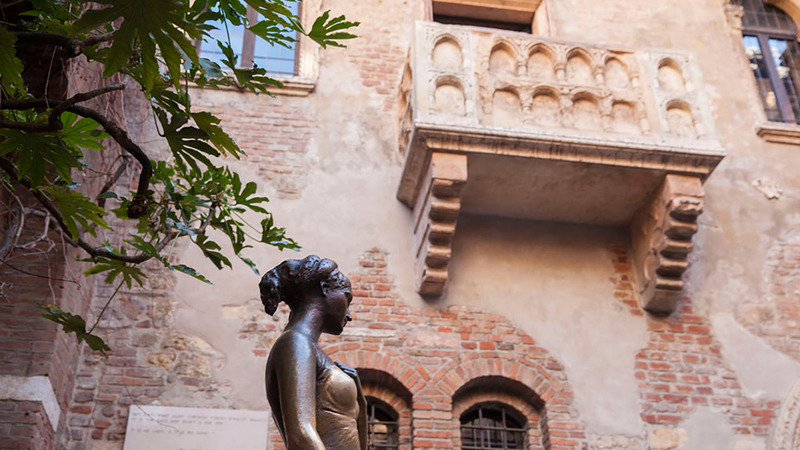 Many visitors stop in Verona just long enough to rub Juliet’s breast (on the statue in her house), thereby missing out on the real beauty of the city. 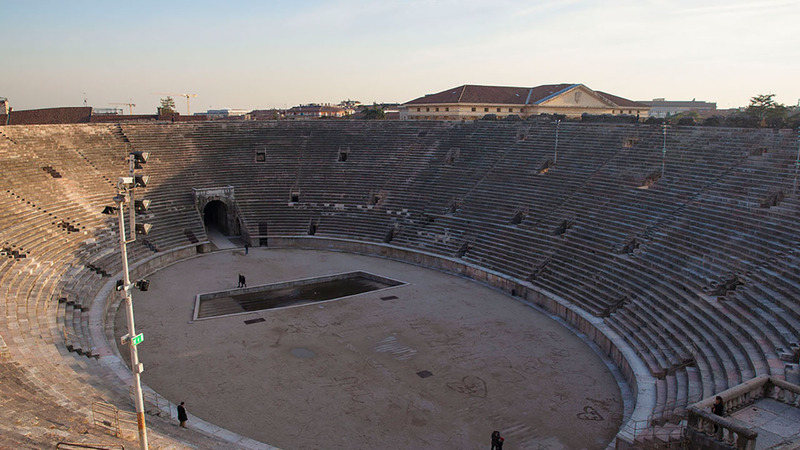 You’ll spend most of your day trip from Venice unearthing the real Verona; a UNESCO World Heritage Site. 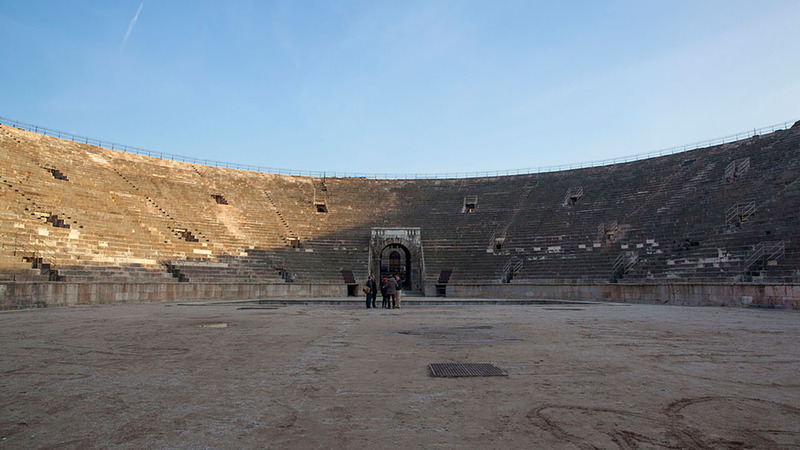 Among those sites that most visitors miss (but you won’t) are the sprawling Duomo with its beautiful cloisters and historic heart; Piazza delle Erbe is another, with its frescoed Mazzanti Houses and the whale bone which hangs from Arco della Costa; Verona Arena is a sure highlight as an ancient amphitheater fit to rival Rome’s Colosseum; both the city walls and castle walls pay testament to Verona’s long history; while the Scaligeri family tombs are a wonderful place to reflect on the grandeur of Verona’s past. Along the way you’ll catch beautiful views along the river, wander winding streets and stop for lunch by the covered markets. Lunch isn’t included in the price of your tour so you’ll have the freedom to choose a spot that suits you, with recommendations from your local guide to suit your taste. Seeing a whole city in just one day is quite a challenge – but with the right tools, certainly not impossible. On this day trip from Venice, you have all the tools at your disposal. With pre-arranged transport we’ll whisk you to Verona and give you a train ticket back to Venice (we'll drop you to the station if you wish or you can choose to stay longer and travel home later) saving on the stress of planning. Having a local guide throughout the day means you won’t have to raise a guidebook to research either, while small groups of 15 people or fewer make interactions with both your guide and your fellow travelers so much easier. With all the details taken care of you can just relax and enjoy Verona for the wonderful, romantic city that it is. It was a very pleasant day in Verona. The transportation was comfortable and the guide excellent, well informed and interesting to listen to. I liked it that we took the train back to Venice.